'Sugarman 2' has released their teaser for next week's episode. 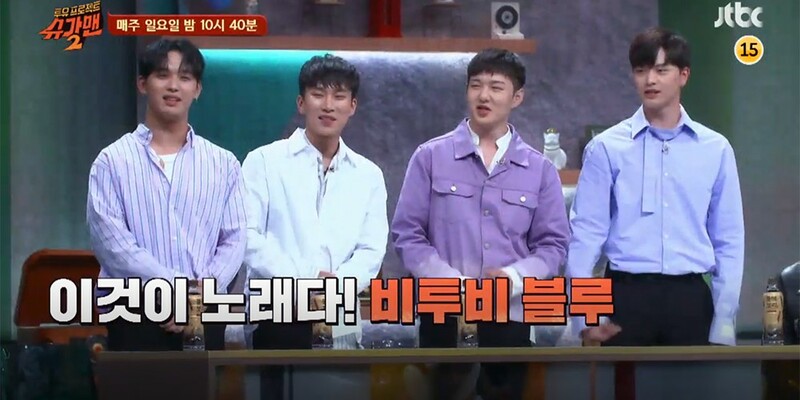 BTOB's vocal line�BTOB-BLUE, consisting of�Eunkwang,�Changsub,�Hyunsik, and�Sungjae, has recently recorded 'Sugarman 2'. BTOB is well-known for their amazing vocal abilities, and the vocal line will be showing off their talents once again. Many fans have been praying for BTOB to come out on 'Sugarman 2' so they could showcase their abilities, and it's finally happening. The teaser below shows next week's episode as the battle between BTOB-BLUE and Brown Eyed Soul, so check it out below.